Recording Internet Radio is not a new invention, several programs offer this ability for years. I'm thinking of Streamripper, Screamer Radio or XMPlay which all have functionalities to record music from Internet Radio. A new concept, at least for English Internet users as far as I know, is to save mp3 from Internet Radio stations on websites which provide functionality to play and save the mp3 after the recording. This concept has both advantages and disadvantages. 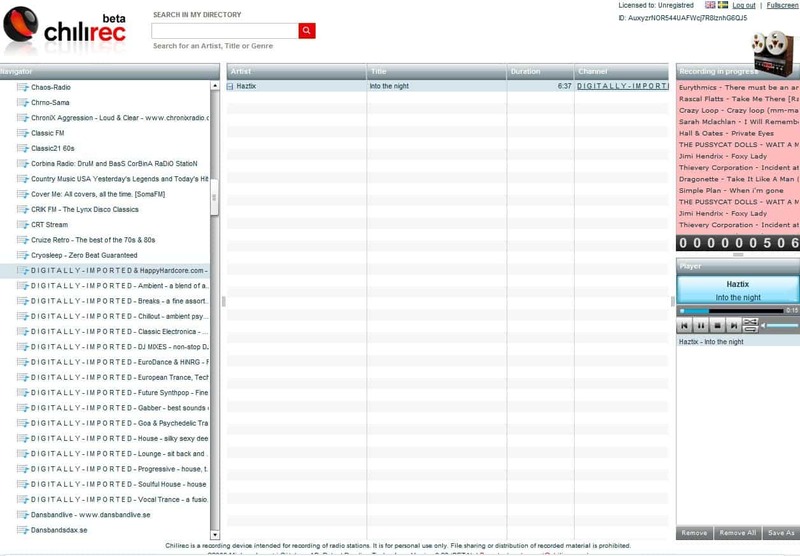 Chilirec [via Go Web 20] provides access to more than 350 Internet Radio stations and gives the user the option to save some or all streams using the service. It is very likely that Chilirec is recording all stations around the clock and only providing the users access to the stations after registration. The first benefit of this approach is that the user does not have to keep his computer turned on to record Internet Radio. The service is recording independently which is a definite plus. The 350 stations that can be recorded simultaneously are a plus as well. It is impossible to record that many stations from a single computer. Recording starts right after picking the stations that should be recorded. The interface looks a bit messy at that point listing all the 350 stations on one screen. Only the titles are visible and it is kinda hard to pick the interesting stations. The amount of mp3 that are accumulated in short time is fantastic. It took less than fifteen minutes to record more than 500 mp3, guess how many you can record in a day or two! Not all of them are interesting though and the ability to sort through them should be essential for the online service. A search is available that provides a search for artists, genre or song titles. The search works fine as does the playback on site and the saving process. A click on a mp3 makes it possible to save it to the hard drive. I was able to download mp3 even without creating an account on the site. I suppose all recordings up to that point are gone if I would not have created one during the session. The greatest shortcoming of Chilirec is that users cannot add new stations to be recorded. If your favorite station is not among the 350 you are left with recording it on your own. Chilirec works surprisingly well. Recording, saving and playing is working flawlessly and fast enough to be enjoyable. Great service especially for those who want to increase their music collection. my song count is over 30000 already. This is an amazing project. I never listen to regular radio myself coz I hate that **** played on it as well as stupid chattering of the moderators but this is a totally different approach. I’ve tried the service and was quite surprised at what it has to offer. Thanks for another great find Martin. 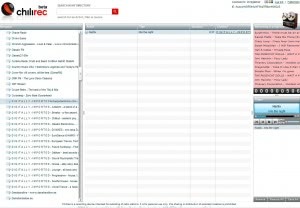 I personally like StationRipper – you can add your own stations, and record what you want, and you get it all. This is a cool idea, but if you have a lot you want to download, kind of a pain.